We were fortunate enough to be invited to a presentation of Brand Cape Town’s new initiative: To position Cape Town as a multi-dimensional destination brand. It was hosted by Cape Town Tourism at the Freeworld Coatings Design Centre (71 De Waterkant Street). 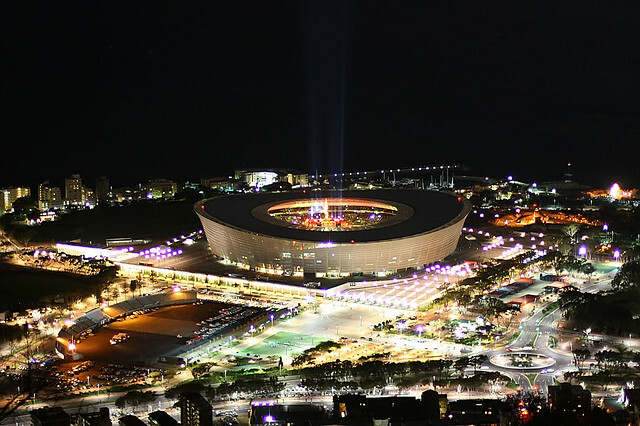 The team presented Cape Town as the city that inspires! And after the weekend this city, its visitors and locals have experienced, we can not think of a more “fitting” positioning for such a beautiful and energetic place. With all the festivities over the past weekend, anyone in view of the mountain would have found it very hard not to be inspired! Not a bad way to spend an evening post the “biggest rock event of the year”. For those of us that still had some energy left, the Celtic Harriers Running Club were the organisers of this year’s Peninsula Marathon. The full 42km route takes you from Greenpoint to Simon’s Town. A beautiful scenic run that also served as a qualifying race for the Two Oceans Marathon on the 23rd April 2011. And just before you thought Monday was going to steal your Sunday – Jesse Clegg performed at Kirstenbosch Botanical Gardens as part of the Summer Concert line up. A perfect way to wrap up a very entertaining and inspirational weekend. We have no doubt in our minds that Cape Town is the city that inspires, and we’re looking forward to seeing how Cape Town Tourism roll this out!